Here’s a new refreshing way of consuming the lowly malunggay vegetable. Following the massive campaign of the several health benefits from malunggay, a line of malunggay-based products have been released in the market. There is the malunggay oil for cooking, which can be used as an alternative to olive oil; the malunggay powder that can be used as flavoring or additive to pre-processed food products such as noodles and pandesal; malunggay tablets are also made as a health supplement. Still, the list of malunggay-based products is growing because of the nutrients that can be derived from the vegetable, hence the innovation of refreshments from malunggay. After the discovery of a Japanese businessman on the health benefits from malunggay, Mr. Mitsuo Shoji developed the malunggay tea, which he claims can cure many human diseases. Malunggay in tea bags are now widely sold in the market, which are developed by Mr. Shoji’s company and other companies in the private sector. Meanwhile, Dr. Edwin Balbarino of the Visayas Stae University reported that malunggay juice is extracted from the leaves of the vegetable in Leyte. The extract is mixed with lemonsito juice to produce iced candies or cold drinks for children who normally do not like eating vegetables. The malunggay, also termed as moringa, is a vitamin rich vegetable, and contains protein, iron and potassium. It contains anti-oxidants that suppress the activities of free-radicals, which causes cell death. 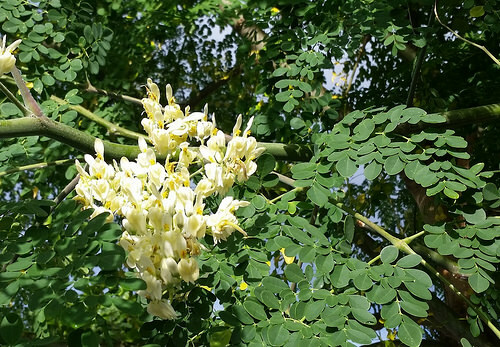 As part of its campaign to combat poverty, malnutrition and other health disorders, the Department of Agriculture (DA) promotes the planting and consumption of moringa. Malunggay can be planted using seeds and cuttings. The development of malunggay- based products and its commercialization is likewise promoted by DA.